When it comes to international expansion, our qualification and experience is not the only assets we have. we assume an attentive attitude to your product competitive advantage creation, your company organizational structure improvement, expansion potential evaluation, and understanding of specific market opportunities. 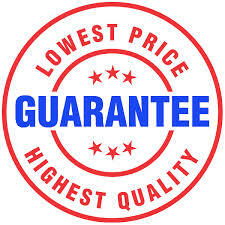 This way only we can guarantee you measurable outputs in sustainable development and sales increase in overseas markets. Unlike traditional consulting firms that require large-scale consulting engagements, our services are designed to quickly and economically meet your specific requirements in each step of international expansion. We provide practical insight and tangible results because we split strategies in targets and targets in actions. When a company ha s made a decision to expand its business in overseas markets, they are many ways and options that, whatever its size, should be considered. To make it simple, we can sum up these options in 4 Ws. Which market? When to start entering? What is the best scale to entry? Which is the best option? 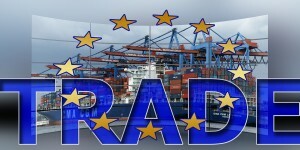 In this connection, to succeed in the complex business of international trade, a global strategy should be developed to avoid common opportunistic attitude. Entering a new country-market with little knowledge or unclear strategy is a serious mistake that leads to money and management effort waste and above all, a real opportunity loss. Comexfi Consulting offers a wide range of services to ensure a confident and successful market entry and development. We helps you to overcome its various challenges. Market research and opportunity for your products. Your market penetration strategy : agents, distributors, trade, own staff. Diagnostics of the company potential for international development. SWOT analysis, structure predisposition, Finance and resources. Confidential representation during first negotiations and market testing. At Comexfi Consulting, we are committed to strengthen your competitiveness and to help you to manage your trade finances efficiently. On international business development we provide our client with the level of service they desire from a simple mission or support in foreign markets to a complete involvement. We will ensure that a market- driven approach is adopted to secure a real international expansion rather than an “export taste”. We propose a variety of channels to promote your product and tailored solutions in Morocco, Spain, France or U.K markets. 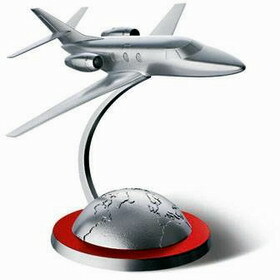 We organize & attend trade shows on your behalf in the above markets. we take strategic account management seriously and we work closely with our clients to look at a their customer’s profile or business with a wide view of the related industry and competition, before completing this essential knowledge with marketing actions. Its all about relationship and we will never forget that people buy from people. Monitoring specific market moves and opportunities. In the countries where we are operating we are able to provide detailed alerts on changes, trends and drivers in your market segments that help you to anticipate decisions and mitigate risks. We make it happens. With a strong culture of execution, at Comexfi Consulting we challenge to get your business up in our countries of operation. We provide reports on measuring progress toward the clear actions and goals, that are supportive of the overall strategy. That’s how we ensure a successful execution. foreign distributors and staff training, monitoring and supervision. 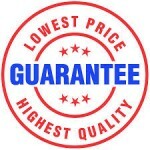 Services offered are related to secure your purchase of raw materials or finished products. Market research and competitive costs is one of our strong skills. We perform negotiations and market research in 4 languages across the world. At Comexfi Consulting we work closely with our client to enhance their competitiveness reducing their costs of purchased materials to create better value and high benefit margins. In this stage of international expansion, companies are more confident because they have already define d their plans, tailored their product, price, promotion and decided about their distribution channels as well as other research elements. Comexfi Consulting aims to provide your with a complete support throughout this critical phase where your are consolidating your international expansion by acting locally and having your own control on sales and eventually production. cycle. We not only provide access to our large network of professional experts based in locals markets but also challenge our principles and value to deliver a high-quality service and to be deal efficiently with any issue. Depending on your product and activity, these 2 options may be considered. To date, European markets as well as Morocco as widely open to use firm’s successful business models in overseas markets by Franchising or licensing a local operator. Specific regulation may apply in Franchising option. Representative office strategic localization and establishment. Services of local administration (see Administrative duties support services). we can participate in negotiations with stakeholders, administrations, potential partners…. Effective ly managing capital required for your international trade to flow is our target in Trade Finance support services. Comexfi Consulting provides companies, whatever their size and financial capacities, profitability by effectively structuring their international trade funding. For entry strategies, 0ur approach leads us to analyse your financial structure for an efficient use of your own equity and to find out tailored solutions according to your internationalisation stage. In addition to that, our guidance in Trade Finance will helps you to mitigate risks accelerating your receivables as well as, in case of importation, extending your credit. 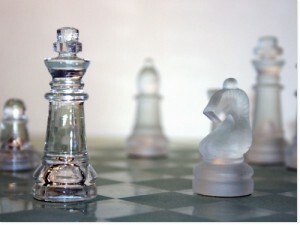 Because we understand how banks and finance corporations make their decisions and apply high charges during the trade cycle funding gap, we provide independent advice and act as mentors by supporting our clients in their negotiation and the most suitable financing solutions that enhance your competitiveness by reducing costs. Review of your financial structure and means set aside for overseas trade and investments and improvements recommendations, if any. 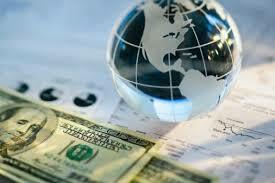 Assisting in all aspects of banking and finance in international environments. Support and negotiation with overseas and UK banks. Consulting on international payments and foreign exchange (fees and unfavourable exchange rates may reduce your payment in value). Guidance on L/C, collections, receivables discounting, forfaiting, factoring, Trade credit, foreign currency, forfaiting, political Risk insurance….